Make a Whistler Luxury Accommodation Request by Email Now! We offer the largest selection of Whistler Luxury Accommodation. 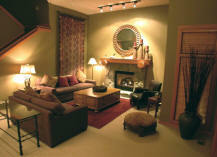 From townhomes, condos, hotels, homes, chalets and estates we offer the widest variety of luxury Whistler accommodation. As a locally owned and operated Whistler Accommodation company we are available in Whistler throughout your stay. Allow us to make your vacation dreams a reality. To narrow down your search... Click on one of our specified Whistler Accommodation Guides..
in Whistler Luxury homes, condos, rentals and hotels. North of Whistler Village 4 Bedroom 3 Km to Whistler and Blackcomb Lifts 3 Km to Whistler Village Exceptional mountain views, private hot tub, heated hardwood floors and granite counter tops. Blueberry Hill 4 Bedroom Whistler Luxury Log Home 1 Km to Whistler Village and Whistler Creekside 1 Km to Whistler Village and Whistler Creekside Stunning views of Whistler and Blackcomb Mountains, hot tub. Blueberry Hill 4 Bedroom Whistler Luxury Home 1 Km to Whistler Village and Whistler Creekside 1 Km to Whistler Village and Whistler Creekside Stunning views of Whistler and Blackcomb Mountains, hot tub. Blackcomb Mtn. Cruiser Run 2 & 4 Bedroom Ski In/Ski Out on Blackcomb Mountain 5 Minute Walk on Free Whistler Village Shuttle Route These units offer lodging with private hot tubs. Blackcomb Mtn. Village Run 3 & 3 Bedroom + Den Ski In/Ski Out on Blackcomb and Whistler Mountain 5 Minute Walk Most of these units offer lodging with private hot tubs. Blackcomb Mtn. Village Run 3, 4 & 5 Bedroom Ski In/Ski Out on Blackcomb and Whistler Mountain 5 Minute Walk Most of these units offer lodging with private hot tubs. Alta Lake, South Creekside 4 Bedroom Estate 4 Min Drive 4 Min Drive Completely private, gated estate. (6000 sq.ft) Ski In/Ski Out on Whistler Mountain's Home Run 5 Minute Drive to village Luxury estate home with hydro pool, large deck, 2 private hot tubs, private elevator and media room. (6000 sq.ft) 5 minute drive to Whistler Lifts 5 Minute Drive to village Luxury estate home with private hot tub home theatre screening room, 7 fireplaces, gourmet kitchen. Village North Luxury 4 Bedroom Townhomes 15 Minute Walk 10 Minutes to Village Shops and Restaurants Whistlers newest luxury residences. Located in Upper Village Hotel Room Superior Room Ski In/Ski Out on Blackcomb Mountain Located in Village steps to shops and restaurants. Luxury Hotel Outdoor pool, hot tub, restaurants, fitness facility spa, shops , meeting space. Nicklaus North 5 Bedroom + Den Nicklaus North Golf Course 5 Minute Drive to Lifts 5 Minute Drive to Village Great views from this luxury property located on the 14th fairway of the Nicklaus North Golf Course. Nicklaus North 3 Bedroom + Den- 7 Bedroom Luxury Homes 5 Minute Drive to Lifts 5 Minute Drive to Village Great views from this luxury property, private hot tub and on the golf course. Stoneridge 7 Bedroom Luxury Estate Helicopter comes right to your door 5- 10 Mins to Village Gorgeous estate property. Have your own helicopter whisk you off daily to heli skiing. 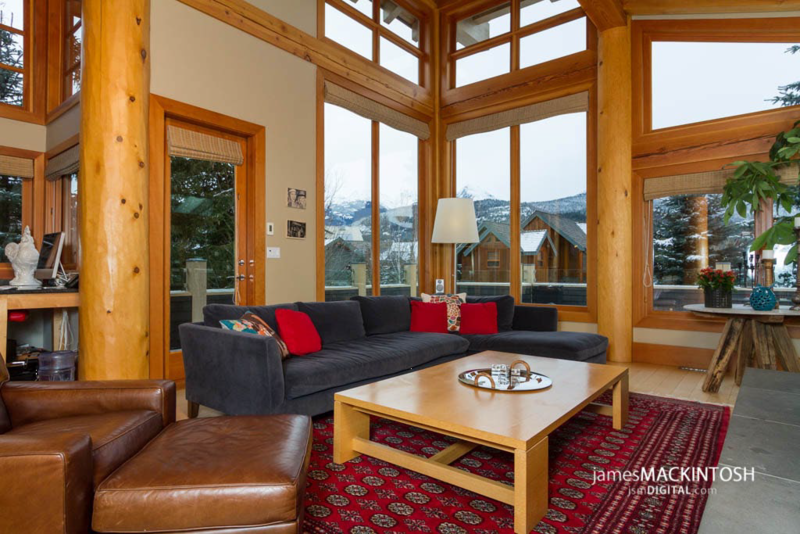 Horstman Estates Above Whistler Village 5 Bedroom + Den Home Ski In Access on Free Shuttle Free shuttle access or 10 - 15 minute walk. Private hot tub, double car garage, vaulted ceilings, ski to your back door, 3 living spaces. Great family home. Horstman Estates Above Whistler Village 5 Bedroom Luxury Log Home Ski In Access on Free Shuttle Free shuttle access or 10 - 15 minute walk. Private hot tub, double car garage, vaulted ceilings, logs. Horstman Estates Above Whistler Village 5 Bedroom Luxury Home Ski In Access on Free Shuttle Free Shuttle access or 10 - 15 minute walk. Private Hot Tub, vaulted ceilings, West Coast Theme. Luxury Homes with Private Gondola 4 Bedrooms Plus Ski In/Ski Out 10 - 15 Minute Drive Private Hot Tub, games rooms, views, private gondola. Located in Whistler Upper Village Studio, 1, 2, 3 and 4 Bedroom Units Ski In/Ski Out Steps to Whistler village shops and restaurants. This luxury Whistler hotel has an outdoor swimming pool, hot tub, exercise room, restaurant, 24 hour front desk, meeting space. Blueberry Hill Whistler Residential Neighbourhood 6 Bedroom/6Bath Home 15 minute walk to village lifts 3 minute drive to Whistler Village This French styled Country Home offers guests a beautiful Whistler vacation home in a private wooded setting. Whistler Village North 3 - 4 Bedroom + Den Town homes 10 Minute Walk to Lifts 5 Minute Walk to Village Shops and Amenities Luxury town homes with private hot tubs and garages. Blackcomb Benchlands 1 - 3 Bedroom Town homes Ski In/Ski Out 10 Minute Walk to Village and on Free Village Shuttle Spacious ski in/ski out town homes with common hot tub. Blackcomb Mtn. 3 - 5 Bedroom Townhomes Ski In/Ski Out 5 Minute Walk Spacious luxury town homes with private hot tubs. 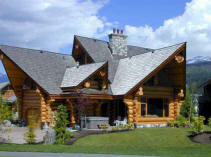 12 minute bus ride Large luxury log home with private hot tub, decks & patio, wood burning fireplace. 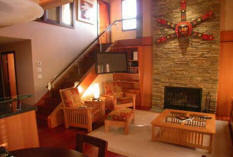 Whistler Village 5 Bedroom Luxury Whistler Penthouse 150 metres to base of both Whistler and Blackcomb Mt. Located in Village Roof top hot tub, large penthouse, close to everything. Whistler Luxury Estate Home 7 Bedroom Whistler Luxury Estate Ski In Ski Out Located in Brio above Whistler Village Luxury 7 bedroom home with indoor pool, hot tub, billiards, fabulous views of lakes and mountains. Whistler Luxury Estate Home 7 Bedroom Whistler Luxury Estate Ski In/Ski Out Located in Brio above Whistler Village Luxury 7 bedroom home with indoor pool, hot tub, billiards, fabulous views of lakes and mountains. Whistler Luxury Estate Home 4 Bedroom Whistler Luxury Estate Ski In Ski Out Located in Brio above Whistler Village Luxury 7 bedroom home with indoor pool, hot tub, billiards, fabulous views of lakes and mountains. Whistler Village 3 - 5 Bedroom Luxury Town homes Ski In/Ski Out 2 Minute Walk to Village Large luxury town homes in one of the best locations in Whistler. Most units have private hot tubs and garage. Kadenwood Estates 5 Bedroom Palatial Retreat Ski In/Ski Out 5 Minute Drive to Village Luxury executive home, hot tub, media, room, ski in/ski out, exercise room, steam room, views. To narrow down your search... Click on one of our specified Whistler Accommodation Guide links below. Do you need more information on these or other Whistler Luxury Accommodations. Contact us toll free at 1-877-887-5422 and get one of our local agents working for you.